In this remake of the 1974 slasher film, a group of sorority sisters find themselves terrorized by a murderous psycho, who plans to kill them off one by one before Christmas break. $3.307 million on -unknown- screens. Since I enjoyed earlier horror remakes such as 2003’s Texas Chainsaw Massacre and 2004’s Dawn of the Dead, I figured I’d give 2006’s Black Christmas a look. A reworking of the original from 1974, this version starts with the brutal murder of a cute sorority girl (Leela Savasta) in her room. From there we move to the Clark Sanitarium and learn about notorious inmate Billy Lenz (Robert Mann), a nutbag who killed his whole family at Christmas. Billy wants to “go home for the holidays” and slay some more. He offs his guard as well as a Santa impersonator and splits in the latter’s disguise. It turns out that the sorority girls all live in the old Lenz house, so this becomes his destination. The babes attempt to survive as Billy – or a reasonable facsimile – hacks and slashes. One difference between Black Christmas and the other horror remakes to which I alluded stems from my experiences with their predecessors. While I saw the original versions of Chainsaw, Dawn and others like Amityville Horror and The Hills Have Eyes, this was my first viewing of Christmas in any iteration. Although this screening makes me tempted to check out the original, don’t take that as an endorsement of the 2006 Christmas. Instead, I’m curious about the older flick simply to see if it offers more entertainment than this dull, tension-free affair. From what I understand, the original Christmas pioneered the future trend of psycho slasher tales, as it came out about four years prior to Halloween, the movie many see as the big influence on the genre. The 2006 Christmas won’t be seen as an influence on anybody, and other than folks who want a perverse anti-holiday flick to watch every year, I can’t figure out why anyone would want to bother with it at all. Disjointed and dull, the film packs few scares and not enough depth to succeed. I will give Christmas credit for a greater attempt at backstory than normal. We get extended flashbacks to show Billy’s childhood and how he developed into a psycho. The movie even takes on an odd Tim Burton feel in these segments. Unfortunately, it doesn’t work. These scenes mesh poorly with the modern day ones, and they go on for far too long. In terms of Billy’s backstory, a little would go a long way. Instead, the movie chooses to give us a lot, and we find increasingly diminished returns as it does so. There’s too much flashback material that adds little and really drags the flick; at times these scenes feel more like attempts to pad the movie’s length than to tell a coherent tale. Outside of these flashbacks, Christmas becomes a typical slasher flick without much to make it different from its peers. It uses some of the usual post-Scream self-referential irony, and it throws out the standard haunted house scares and red herrings. Christmas looks better than most horror films, with its perverse Yuletide lighting scheme, but all the visuals in the world can’t negate the movie’s inherent blandness. Ultimately, Black Christmas is just another predictable horror flick without many actual scares. Some of these stem from the trite nature of the story, but most emanate from its awkward flashback structure and disjointed development. There’s nothing new here, and the film doesn’t do “slasher” well enough to make it at least work as a fun genre effort. 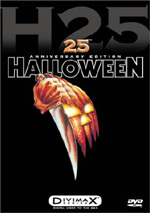 Black Christmas appears in an aspect ratio of approximately 2.35:1 on this single-sided, double-layered DVD; the image has been enhanced for 16X9 televisions. A mixed bag, the transfer didn’t seem as strong as I’d like. Sharpness worked as one of the more positive elements. Though a little softness crept into a few shots, the movie usually remained pretty crisp and concise. No jaggies or shimmering marred the presentation, and I detected no edge enhancement. Other than a few specks and more grain than normal, the movie remained free from source flaws. Colors caused a few concerns. Through the use of various holiday bulbs, the flick featured heavy levels of colored lighting. These sometimes came across as a bit heavy and murky. They got better as the movie progressed, but I thought the tones tended to be denser than I’d prefer. Blacks were acceptably deep and full, but shadows also veered into the somewhat thick realm. Again, these remained reasonably viewable but they lacked the definition I’d like to see. Overall, the transfer was perfectly watchable but a bit erratic. On the other hand, the Dolby Digital 5.1 soundtrack of Black Christmas proved to be eminently satisfying. The soundfield added an awful lot to the production. It favored quieter elements, but it used these to create a very immersive, three-dimensional setting. All five channels featured accurately placed, well spread out sounds to surround us with the movie’s creepy concepts. These used the spectrum in a very positive manner to form an involving, active soundscape. Across the board, audio quality seemed strong as well. Speech always sounded natural and concise, without edginess or other issues. Music was bright and bold, while effects appeared clean and clear. During louder sequences, low-end reinforcement added good oomph to the presentation. I don’t normally award “A”-level grades to efforts that stay as subdued as this one can be, but I thought the involving nature of the sound design meant the flick deserved that. A smattering of extras appears here. Seven Deleted Scenes fill seven minutes, seven seconds, while three Alternate Endings go for a total of 12 minutes, seven seconds. Among the “Deleted Scenes”, we find “Someone In the Attic” (2:16), “Christmas Ringtones” (1:12), “Gift Exchange” (0:24), “The Girls Discuss Kyle and Eve” (0:50), “Phone Call from Dana (Extended Version)” (0:50), “Melissa Killed in the Hallway (International Version)” (0:37), and “Lauren’s Death (Alternate Version)” (0:57). All of the clips under “Deleted Scenes” prove to be inconsequential. The alternate/extended sequences don’t stand out as memorable, and all the others present minor bits at best. As for the “Alternate Endings”, they’re more interesting, primarily due to the different ways they deal with the villains. They don’t work better than the conclusion to the flick, but they’re not actually worse either. A 28-minute program called ”What Have You Done?”: The Remaking of Black Christmas mixes movie clips, shots from the production, and interviews. We hear from writer/director Glen Morgan, executive producer Bob Clark, fansite webmaster Dan Duffin, producer James Wong, sound recordist Patrick Ramsay, production coordinator Jennifer Metcalf, script supervisor Helga Ungurait, production designer Mark Freeborn, director of photography Rob McLachlan, grip Paul Chorney, and actors Mary Elizabeth Winstead, Oliver Hudson, Crystal Lowe, Robert Mann, Lacey Chabert, Katie Cassidy, Andrea Martin, Michelle Trachtenberg, and Kristen Cloke. 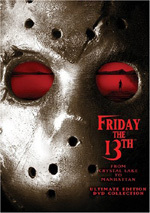 The show covers some notes about the original 1974 flicks and the remake’s path to the screen. We get info about the adaptation and how the new movie expands the original. We also learn about characters and performances, sets and locations, cinematography and visual design, and a few other production notes. “Remaking” offers a pretty solid look at the production. I like the info that connects with the original, and the rest of the show fills in some useful details as well. Occasionally it comes across as a little promotional, but it usually remains interesting and informative. Next comes the 26-minute and 32-second ”May All Your Christmases Be Black” – A Filmmaker’s Journey. It includes comments from Morgan, Cloke, Wong, Trachtenberg, Chabert, McLachlan, Freeborn, Lowe, Winstead, Cassidy, 1st assistant cameraman/actor Dean Friss, camera operator Mike Wrinch, costume designer Greg Mah, key makeup artist Joann Fowler, and stunt coordinator Dave Hospes. We get reactions to the general failure of Morgan’s prior flick Willard, the nature of this film’s scares, themes and story issues, some technical elements, performances and some scene specifics, photographic topics, the atmosphere on the set, and a few other notes. “Black” acts as a good complement to “Remaking”. Both cover similar production issues but don’t repeat details or become redundant. It moves at a nice pace and covers the relevant subjects in a concise manner to become a useful piece. A few ads open the DVD. We get promos for Grindhouse, Vince Vaughn’s Wild West Comedy Show, Hannibal Rising, Pulse and Feast. No trailer for Christmas appears here. A genuinely pedestrian horror flick, Black Christmas fails to scare or engage. It throws out a now-standard psycho slasher motif embellished with more backstory than normal, but it fails to develop either thread in a satisfying manner and becomes awfully disjointed. That renders any potential jolts impotent and makes this a tedious, predictable film. The DVD presents adequate visuals, excellent audio, and a small but useful set of extras. For fans, the DVD merits a look, but I can’t recommend it to anyone else. There are too many good horror movies out there for me to get you to waste your time with this clunker.